Greetings! I decided to do a little somethin somethin about why Maryland Brides hire makeup artistry by Lori for their wedding day makeup artist, and ofcourse I cannot leave out my DC and Northern Virginia Brides as well, I spend alot of time there as well! Alot of mua have a section on their websites devoted to "Why Hire Me" or "Why Hire a Pro MUA on your big day." First and foremost I truly feel that when your planning such a huge lifetime event, the day you will be the center of attention and all eyes are on your gown, hairstyle, makeup. jewlery , your flowers,, the ever so popular bridal shoes and so on....You have a ton on your plate..and waiting for responses back from vendors about availability, pricing, and other useful information that you need , should be given right away! I start out by always promising to respond to my brides in 24 hours or less. That cuts out alot of stress! And the communication stays that way, right up until the day of the wedding and afterwards! I think you cannot put a price tag on communication and being prompt with a bride to be! I am also truly interested in each and every brides wedding..all of the details! I am a lover of all things wedding and I truly want each and every bride to have the exact bridal look of her dreams! So paying attention to detail is important to me, that is why I always use a face chart at trial and bring it with me the day of, as to not skip a beat! 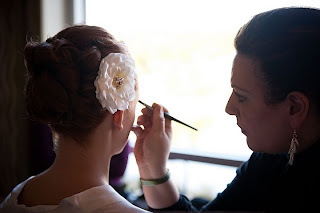 Listening is essential so that I can execute the perfect makeup application even at the trial run, so that my brides can see that I "hear them" what they want and dont want ect. I pay close attention to how make looks in person and how it comes out in wedding photos, be it blk or white. I know these pictures are what your left with to cherish your wedding. And I know how much it will mean, even for the brides who say they care more about how they look in person... No bride wants to look washed out in her wedding day photos or super shiny ..ect. I pride myself on enhancing the occassion, bringing joy and laughter along with my mobile makeup kit! I feel its an honor to have been chosen and I never forget that! 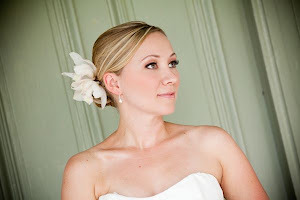 At the end of the day, I want to give my brides a custom made flawless, breathtaking bridal makeup application that has the ability to hold up to the temps, the long event and keep her looking amazingly beautiful from start to finish! The Way Of Your Blog presentation is very effective And very easy to understand about the process..thank you keep update with your blogs..